Home » Voices of Hope for Aphasia, (VOH), announces four Board Member Emeritus and Executive Director Emeritus appointments. St. Petersburg, FL (Jan. 29, 2019) The nonprofit is devoted to helping those who have lost the ability to understand, speak, read, or write due to stroke or traumatic brain injury. Voices of Hope for Aphasia is proud to announce the return of prior board members into Emeritus status. 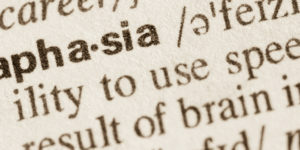 Past board members, Dr. Bill Heller, Dr. Arthur Guilford, Michael Profita, and Debbie Yones remain committed to furthering the mission and goals of Voices of Hope for Aphasia and have accepted non-voting positions on the board, continuing to provide their guidance, leadership, and expertise. Out-going Executive Director, Dr. Jackie Hinckley, has accepted the role as Executive Director Emeritus to provide continuity and advise the organization in the furtherance of serving people with aphasia. Dr. Jackie Hinckley served as Executive Director of Voices of Hope for Aphasia for four years and remains passionate about the mission. She has agreed to continue to be an advisor and convener to aid in regional growth. Dr. Hinckley is board certified by the Academy of Neurogenic Communication Disorders and Sciences (ANCDS) and has served as an Executive and Advisory Board member for the National Aphasia Association (NAA). She is currently Associate Professor in Speech-Language Pathology at Nova Southeastern University. Dr. Harold “Bill” Heller, who served two terms in the Florida House of Representatives, was instrumental in growing a relationship between the organization and USF St. Petersburg. As an emeritus board member, Dr. Heller will continue to offer support and guidance to Voices of Hope. Dr. Arthur Guilford, past Regional Chancellor to USF Sarasota-Manatee, has also committed to support the organization in the emeritus capacity. As an officer of the board Dr. Guilford lent his expertise to grow the impact of Voices of Hope throughout Pinellas County. Mike Profita, a founding executive board member, helped establish Voices of Hope for Aphasia when it first launched in 2011. As Treasurer, Mr. Profita was instrumental in establishing a strong, sustainable budget in which donations were responsibly managed and used directly to serve the members of Voices of Hope for Aphasia. Mr. Profita lives in the Chicago area and will continue to be an ambassador and advocate for the organization as it moves forward. Debbie Yones, M.S., CCC-SLP, stepped off the board to become the Program Director for the organization. Ms. Yones has worked exclusively with individuals affected by aphasia both with Voices of Hope for Aphasia since its inception and in her private practice. Board Chairman, Ken Bado, is thrilled that each of these individuals will remain a part of the organization. “Their continued engagement in our organization reflects the passion and commitment of VOH leadership. All of us at Voices of Hope for Aphasia see an opportunity to help the thousands of people afflicted locally by the aftermath of a stroke. We seek to help them gain community and confidence in moving forward in their lives. I am excited about the ability of our organization to impact more lives because of leadership offered by these individuals,” Bado said.